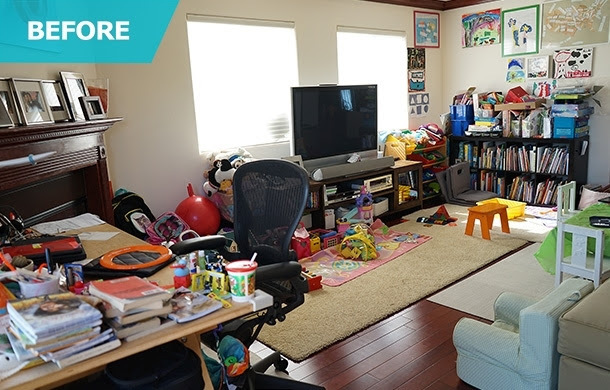 I love before and after photos, especially if they involve creating room to live and play. 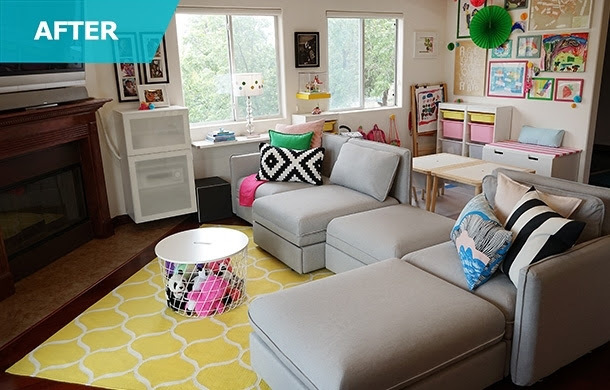 This family used products from IKEA to recreate their living room. The after photo is stunning. I so wish we had an IKEA store in Montana. This homework area is perfect! And I love the TV/ area. Be sure to visit IKEA’s blog for all the info! I hope you are having a simply organized Sunday!